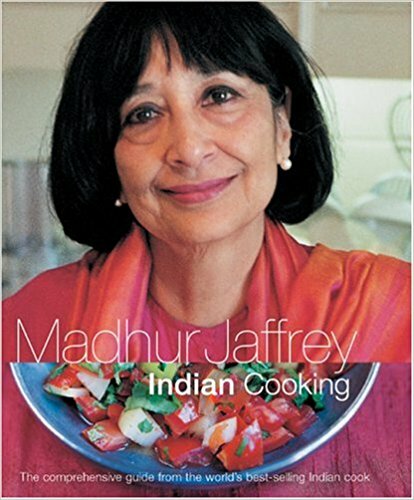 Another favorite from Madhur Jaffrey. If you prefer, fine to leave out the cayenne pepper. Can be made in advance and re-heated before serving or kept in the oven for 60-90 minutes at 180F after it is done cooking and before time to serve. 1 3 lb. Hay Mama chuck roast, cut into 1 ½ inch cubes (keeping some fat on to keep this dish moist, but trim off any major fat pieces). Should end up with around 2lbs prepped meat. Heat the oil in a wide, flameproof casserole-type pot over a medium-high flame. When hot, put in as many meat pieces as the pot will hold easily in a single layer. Brown the meat pieces on all sides and set them aside in a deep plate. Brown all the meat this way, then remove. Put the onions and garlic into the same pot and turn the heat down to medium. Stir and fry the onion-garlic mixture for about 10 minutes or until it has browned. Now put in the browned meat as well as any juices that might have accumulated in the plate. Also put in the ginger, cayenne, paprika, salt, and pepper. Stir for a minute. Now put in the yogurt and bring to a simmer. Cover tightly, first with aluminum foil and then with a lid, and bake in the over for 1 ½ hours. The meat should be tender now. If it is not tender, pour in ½ cup of boiling water, cover tightly, and bake another 20-30 minutes or until the meat is fall apart tender. Stir meat gently before serving. Serve with Indian break like naan or chapatis or moist pullao rice dish.